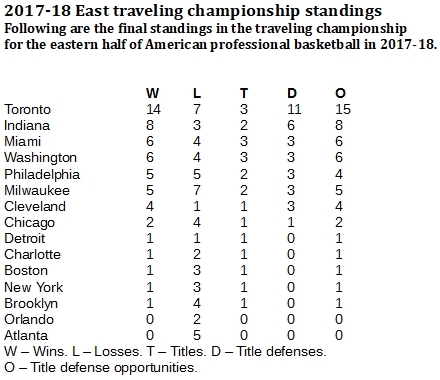 The Toronto Raptors won twice as many games as any other team for the eastern pro basketball traveling basketball championship in 2017-18, earning distinction as Team of the Year. 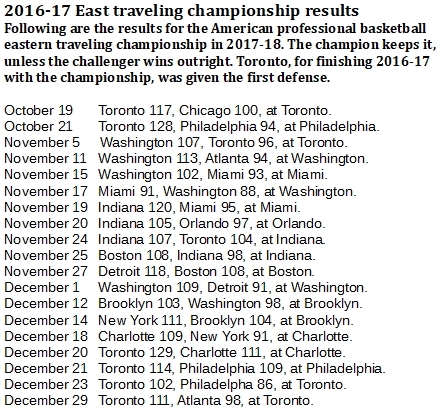 The Toronto Raptors, controversially the team of the year in the Eastern pro basketball traveling championship in 2016-17, took those honors quite more easily in 2017-18. The Raptors carried the title into 2017-18 and added three new ones, totaling 14 championship wins to run away from the crowd. At 14-7, the Raptors well out-paced the second-place Indiana Pacers, who finished 8-3. Toronto's run pushed it into the race for the all-time eastern traveling title entering the 2018-19 season. 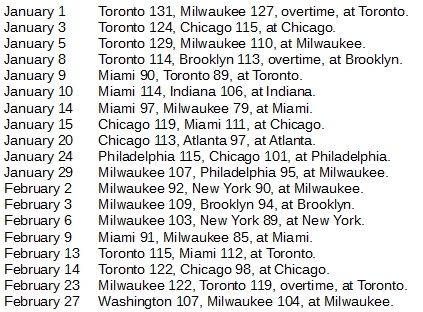 In the first three years of the competition, the Raptors now are up to 19 victories. The lead team, the Miami Heat, won 14 games in 2015-16 and have won 10 in the last two years, adding up 24 wins. In second place is Indiana with 20, followed by the Raptors and the Chicago Bulls (16). The Raptors began their best run of the year on Dec. 20 with a 129-111 road win against the Charlotte Hornets. The Raptors won another seven straight before falling, 90-89, at home to the Heat on Jan. 10. 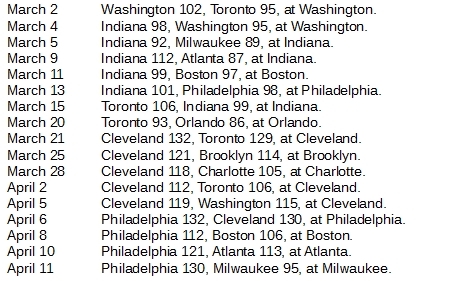 It was the longest title run of the year in the East.